Corrugated Tooling | Jonco Die Company Inc. Most items at your favorite store were safely shipped in boxes made of corrugated cardboard. Many are displayed in these same boxes, which were manufactured so they could be opened and used for this purpose. Other items may arrive in their own corrugated paperboard boxes. Because corrugated cardboard is such a versatile packaging material, millions of tons are used each year to protect and display products. 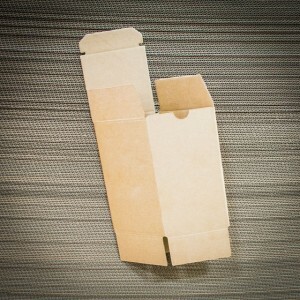 In any given year, more than 25 million tons of corrugated cardboard is produced in the United States. Jonco Die Company Incorporated has been making tooling to convert corrugated paperboard into protective packaging and displays since 1965.